MADRID: A woman carrying a grenade-shaped belt buckle on a train from Barcelona to Madrid caused havoc on Wednesday, forcing railway stations to be evacuated as well as delays. Police in Barcelona said they were advised by security personnel in the city's main Sants station that "they had seen by scan an object that could be an explosive artefact," a spokesman told AFP. A photo of the luggage scan posted on the Twitter feed of Catalonia's Mossos police force showed what looked clearly like a grenade. Police subsequently evacuated two high-speed trains at the Barcelona station but didn't find anything, the spokesman said. "Then we saw that this person could be in a train going to Madrid. We warned national police," he added. 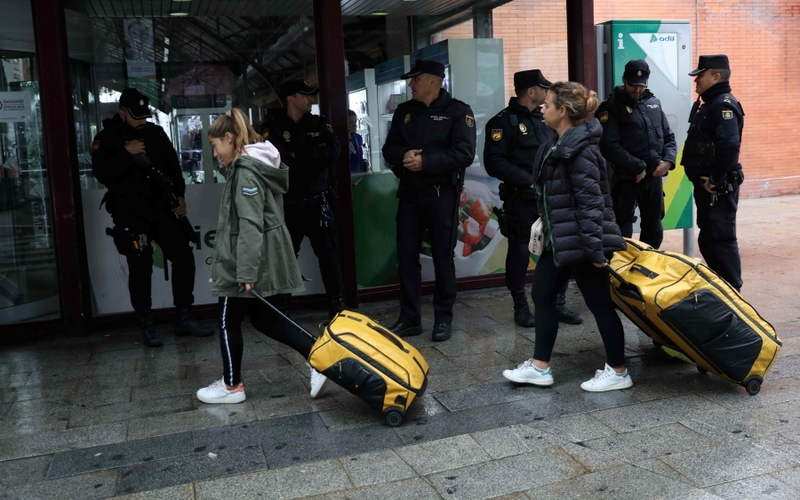 People were then evacuated from the Spanish capital's main Atocha station, the state-owned Adif company which manages the country's railway stations told AFP. Police said they created a security zone on part of a platform at the station, which was the scene of one of Europe's worst terror attacks in 2004 when 191 people were killed in explosions on commuter trains. When the train arrived, they checked the luggage and found that the grenade-like object was actually a "belt buckle," a police spokeswoman said.